Face it, you're no mountaineer. Unless you are, in which case congrats. But for the rest of us, there'll be no mountain-top revelations to make our souls take flight. Not in real life anyway. 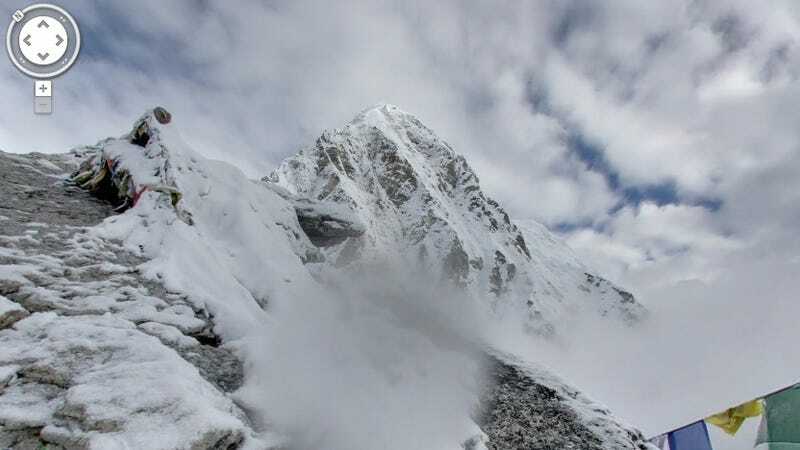 But Google Map's new summit shots are the next best thing. Google's Dan Fredinburg, program manager and mountaineer, lead Google Mountain Enthusiast teams up Aconcagua in Argentina, Mount Kilimanjaro in Tanzania, Mount Elbrus in Russia, and up to the Everest South Base Camp in Nepal. But they didn't bring the adorably goofy trekker backpack along for the ride, instead opting for a lighter setup of just a tripod and camera with a fish-eye lens.